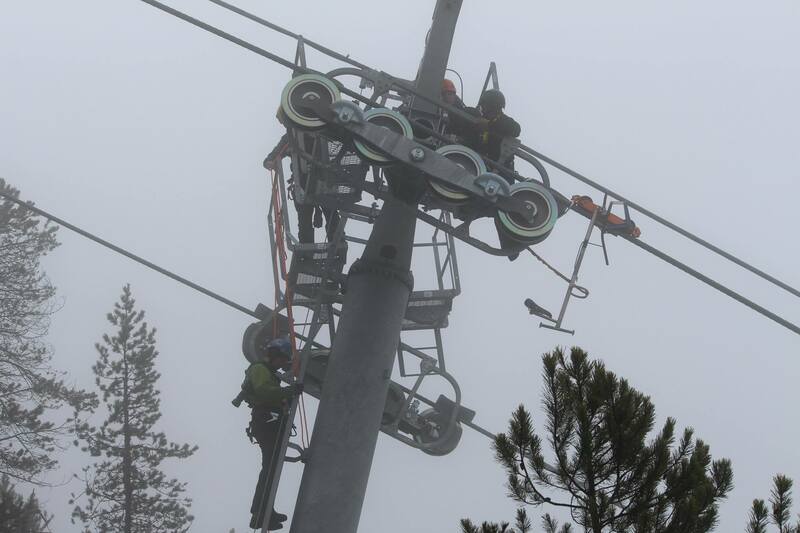 The Cable Glider is designed specifically for Gondola and Tram customer evacuation. 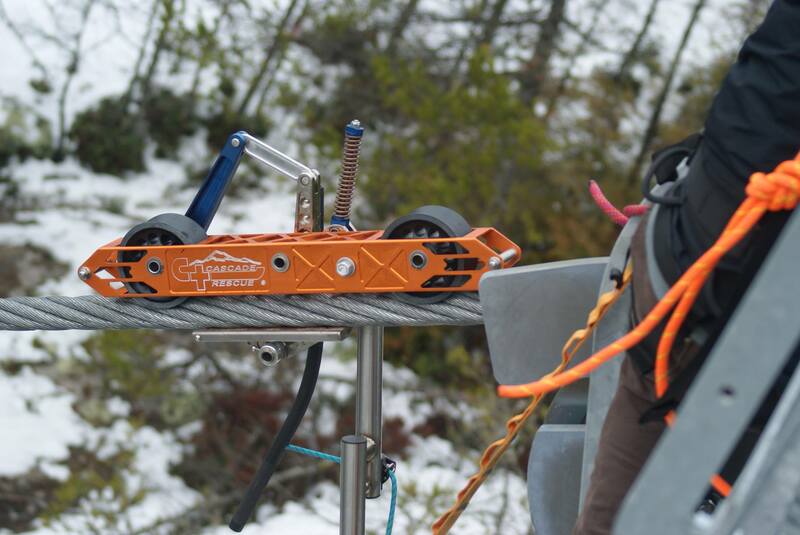 Made almost entirely of high-grade Titanium, and at 13.2 lbs, the Cable Glader can be easily “one-handed” onto the Gondola cable. 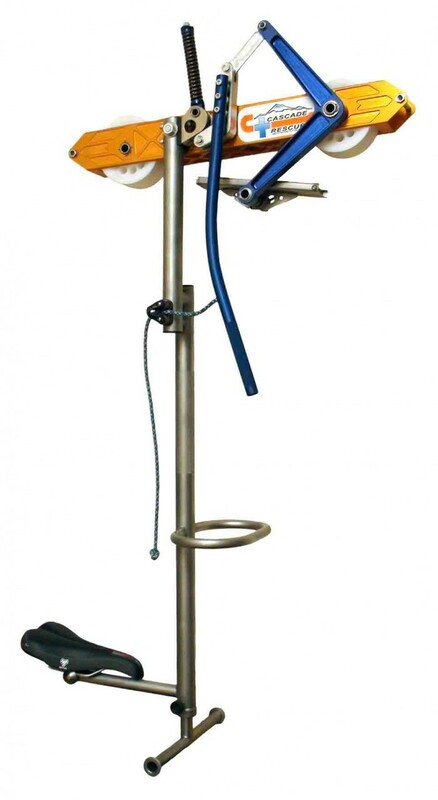 The Cable Glider features an extendable foot-rest and a comfortable Down-Tube and seat that make it easy for the rescuer to mount, travel the cable and dis-mount. The Cable Glider is extremely safe. When attached to the cable it can be secured with a manual brake lock. 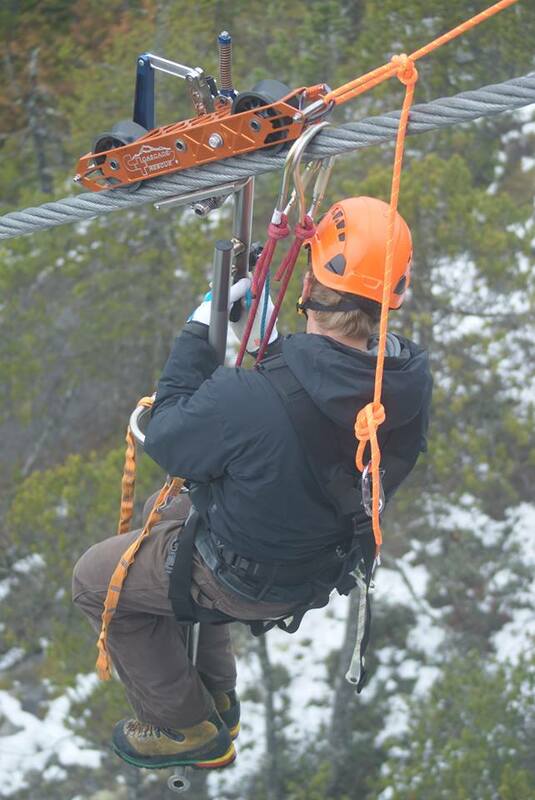 Once the rider (rescue) mounts the Cable Glider, the brake is automatically locked and the Glider will not travel down the cable until the operator applies positive force to the brake lever. 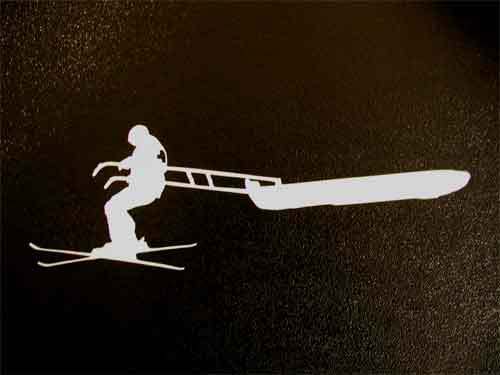 By simply pushing forward on the brake lever, the Glider will travel down the cable and descent speed is easily controlled by the operator. If the brake lever is released, the Glider will stop. This “deadman” style brake mechanism eliminates the chance for a runaway, even if the operator is incapacitated. 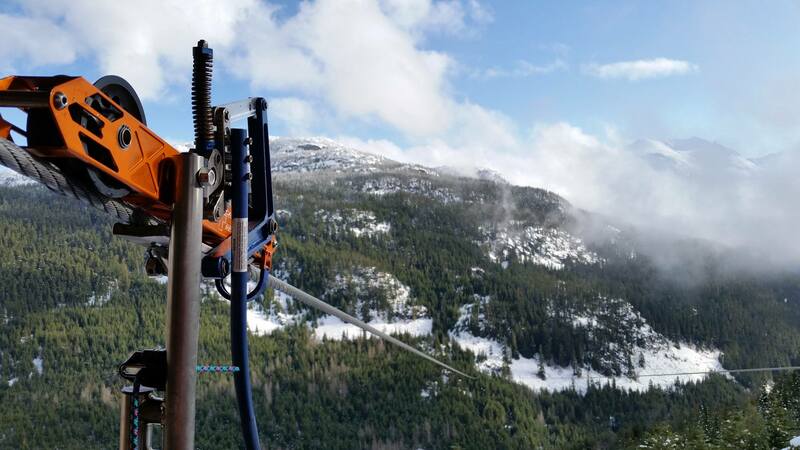 The Cable Glider is currently in use at many areas including Sea to Sky Gondola, Vail, Silver Mountain, Sun Valley, Jackson Hole, Whistler Blackcomb, Heavenly Valley and many more. 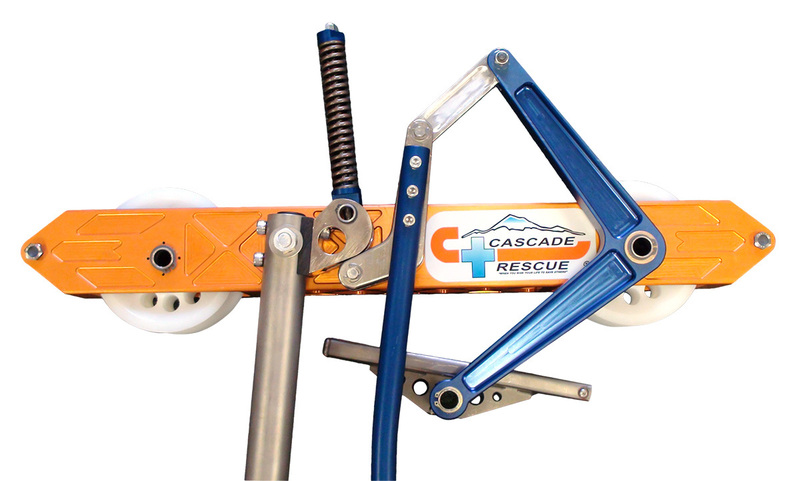 Safe, fast, effective and now made by Cascade Rescue Company in our ISO9000 Certified Plant. 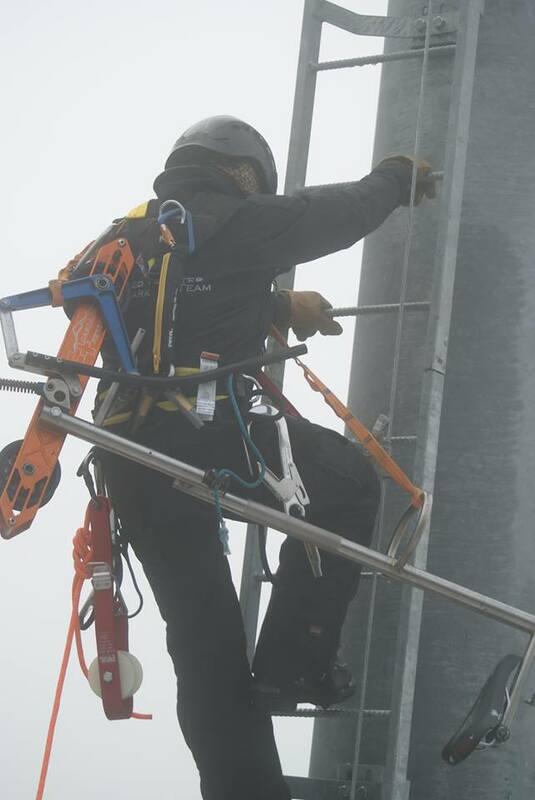 Let us help you tailor your equipment needs to meet the demands of your individual rescue scenario. Custom on-site training and demonstration packages are available upon request.